Prayer Waves is a venture launched in 2017 by Debbie Olsen, who lives in South Woodham Ferrers, a town to the south of Chelmsford, but within the ‘catchment’ for Chelmsford 24-7 Prayer. Debbie has a heart to see Prayer Spaces in the Schools in her area and has them at her local Primary School, where she is a Governor. See the foot of this page for some photos of the Prayer Spaces in action! 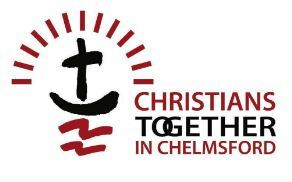 Chelmsford 24-7 Prayer is pleased to support Debbie as she seeks to expand her vision and Prayer Waves is now an Affiliate. On a family holiday in Antigua I found myself becoming more and more drawn to anything and everything to do with turtles. It hit me between the eyes that encouraging children into God’s presence, especially through any form of prayer that moves them or appeals to them, is so like seeing a turtle at the water’s edge on a beach. As the turtle moves towards the tide, instinctively drawn to the light over the water, the tide comes in to meet it and carries it out to sea, where it will find itself swimming away on a great adventure, forever attracted to the light. That is my prayer and my vision as I set up prayer spaces in schools. When I see and hear the children connecting with God, some possibly for the first time, I see such potential for a deeper relationship with Him, both in the ‘here and now’ and as they move into their future… “Call to me and I will answer you and tell you great and unsearchable things you do not know.” (Jeremiah 33:3).